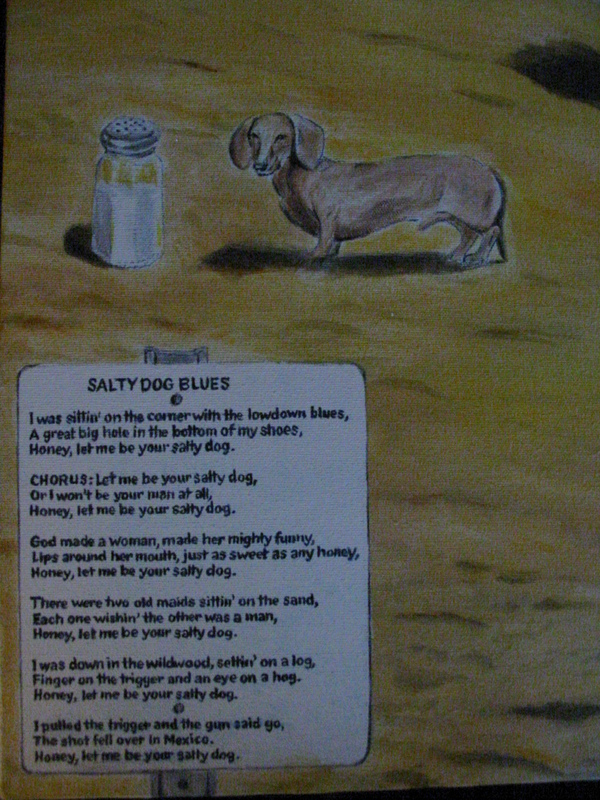 Here are more close-up pics of my painting Salty Dog Blues. The pic below has the lyrics. I painted a salt shaker and a dog above the lyrics almost like it was a game of pictionary. The lyrics are posted on a metal sign and post similar to one that might have posted "beach rules." 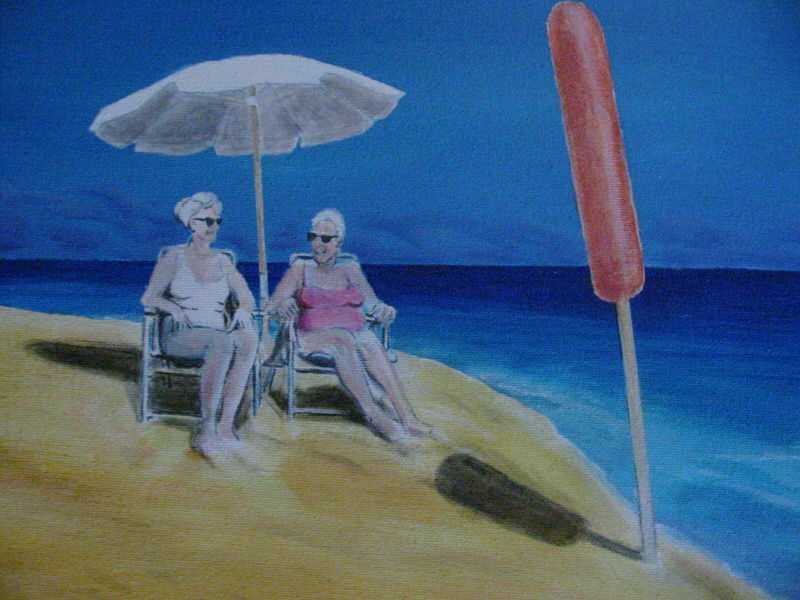 The two old maids sitting in the sand are probably saying, "Next time we're going to get a beach umbrella like the one in front of us." 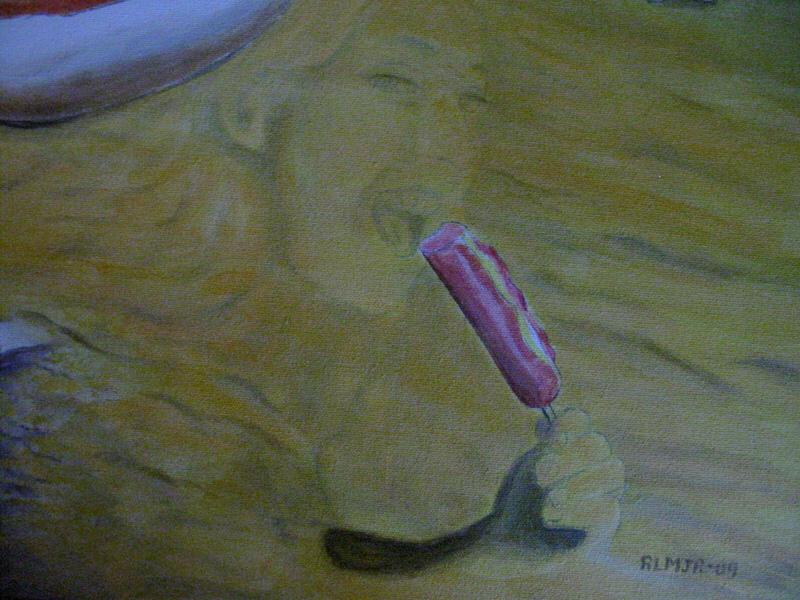 She lost her title but is forever immortalized in my painting- no one can take this away from you, not even Donald Trump!